I am standing in a narrow wooded valley surrounded by Vinho Verde vineyards near Melgaco at the most northerly point in Portugal. A stone’s throw away across the Minho river are the hills and vineyards of Rias Baixas in Spain’s Galicia. The same grape is grown on either side of the border here. In Portugal it is known as Alvarinho, but in Spain it is Albarino. In the latter it is better known, as it is grows more prolifically (Spain has over 6,000 hectares, compared to Portugal’s 2,340). Today both Portuguese and Galicians claim the grape as their own, but it probably originated in Spain, perhaps brought by Germanic monks on a pilgrimage to Santiago de Compostella from the Rhine. “Alvarinho is now so fashionable, it is the most expensive grape in Portugal”, says Margarida Fernandes (pictured below right) of Quinta de Soalheiro, the top producer in Vinho Verde’s northerly subregion of Moncao & Melgaco. “Alvarinho was planted here in C18 and C19, but disappeared after phylloxera. A little was planted in 1920’s, but our Quinta was the first to replant seriously in 1974. Since the 1990s there has been a boom here”, she says. It is hardly surprising that this popular aromatic grape has been nudging further into Portugal’s northerly Vinho Verde region. Its taste is tantalising with a bouquet ranging from orange blossom to jasmine, pure citric fruit flavours and hints of minerality. It is usually made in a fresh fruit-driven unoaked style, but organically-focused Quinta de Soalheiro experiments with ferments in oak, chestnut, concrete eggs - also making it into sparkling and now makes a zero sulphur ‘natural wine’. So is there any difference between Spanish Albarino and Portugal Alvarinho? 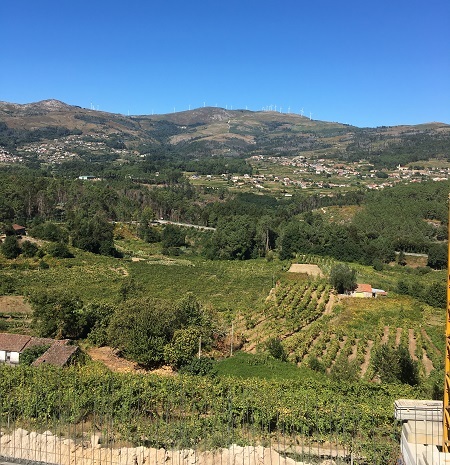 “Both have similar terroir and microclimate, but in Vinho Verde they use lower trained wire and posts, whereas wider spaced granite pergolas are popular in Spain to counter the higher rainfall and humidity in Rias Baixas”, says Fernandes. In Rias Baixas, with a strong Atlantic influence particularly in Val de Salnes close to the coast, it has melony, peachy aromas, higher acid and slightly salty tang. In Vinho Verde, when Alvarinho is made into a varietal wine as it is in Moncao & Melgaco, it is fuller-bodied, richer, riper, more citric and more minerally. 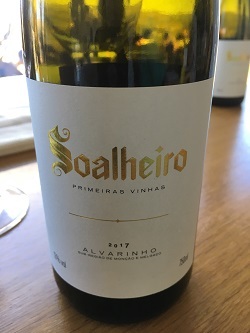 Alvarinho is becoming so popular it is now planted further south down in Dao and even near Lisbon – but the majority of plantings are in northern Vinho Verde. Like so many white wines in Portugal it has traditionally been blended, in this case with other grapes Loureiro and Trajadura. Personally I think Alvarinho makes Portugal’s finest dry whites, but I was prepared to be persuaded otherwise. 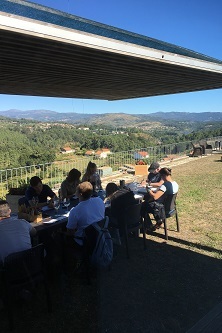 One hour’s drive south down through the huge Vinho Verde region, into the heavily wooded Lima Valley, the Alvarinho grape plantings diminish and are overtaken by Loureiro which grows better in the drier warmer inland climate here. Loureiro, named after the laurel, is an easier grape to grow. 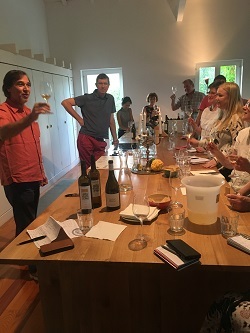 It is usually blended by big companies into commercial Vinho Verde, but one man is determined to prove that Loureiro is as high in quality as Alvarinho made as a varietal wine. “Everyone called me crazy when I focused on Loureiro; it was not considered a good grape”, says Pedro Araujo (pictured right) of Quinta do Ameal, a beautiful 15 hectare family estate which competes with Soalheiro as Vinho Verde’s top producer. “I believed Loureiro was a serious grape, if yields were restricted”, says Araujo. “I farm organically, keeping yields to five tons, whereas big companies take 15 tons per hectare”, he says. 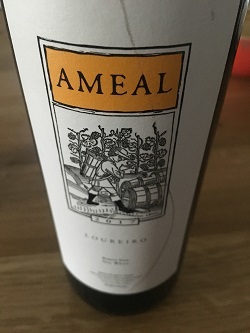 Araujo, working alongside local winemaker Anselmo Mendes, has proved that Loureiro can make fine dry and sweet wines. The taste is different to Alvarinho. As a dry wine Loureiro has a softer structure, less acidity, herbal nutty character with pear and grapefruit flavours. 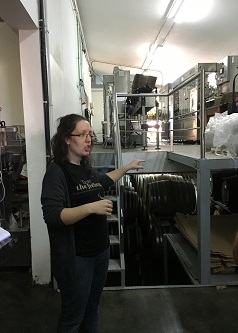 Like Soalheiro with Alvarinho, Araujo and Mendes are also experimenting with fermenting Loureiro in oak and with zero sulphur natural wines. Araujo also makes a delicious apricot flavoured passito dessert wine. So forget thin watery cheap and cheerful white Vinho Verde. Try a glass of one of these high quality Vinho Verde to prove what an underappreciated wine it is.